Do you like Rabbit Samurai? Share it with your friends. 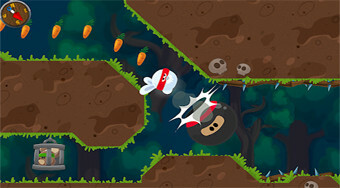 Move around as a samurai hare on the playing field, collect carrots, free your friends and overcome obstacles.